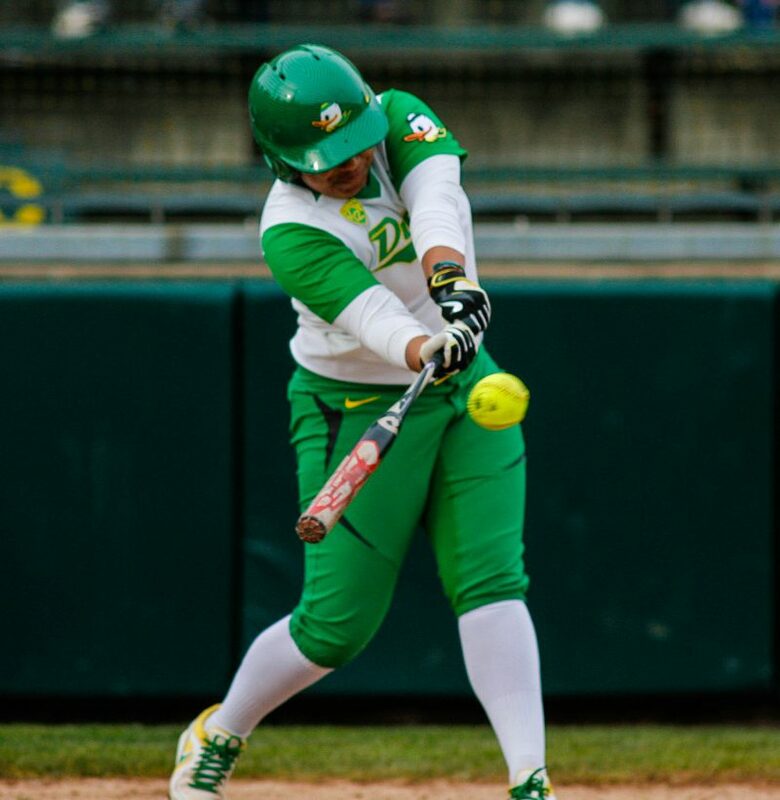 The Ducks Swing Away the Offseason, Let Softball Season Commence. Number 2. Wait, number 2? In the country!? Yeah, that’s right! In the last six games, opponents have only scored 15 runs on the Ducks, including three shutouts. Head coach Mike White has excelled in recruiting, training, and coaching these young women to success on the field. Of the Ducks’ 21 players, only four are seniors. I don’t want to get ahead of myself, but it looks like this Duck dynasty will be around for a while. Oregon is batting exceptionally well this season. This season’s Ducks have been putting teams away both in the field and at the plate. 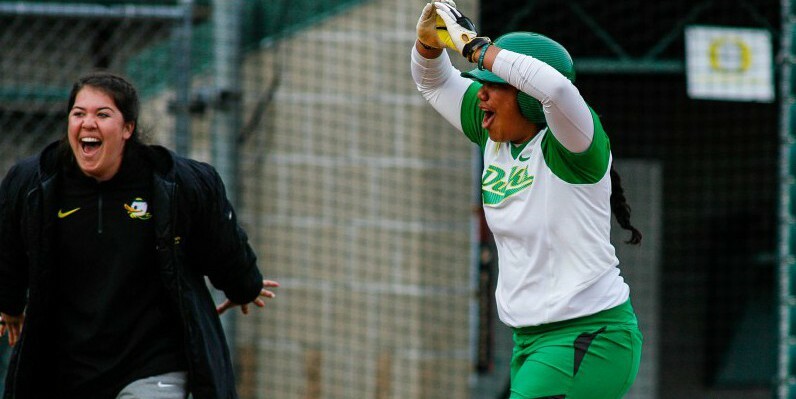 The story begins and ends with the Ducks’ outstanding roster, notably Hailey Decker, a junior transfer from Nebraska, and freshmen sensation Jenna Lilley. 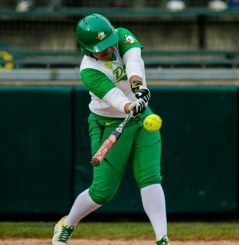 According to goducks.com, “Freshman Jenna Lilley came into the season as one of the top recruits in the nation out of Hoover HS in North Canton, Ohio. The third baseman certainly delivered, going 10-of-19 over her six collegiate games (.526).” She was awarded PAC 12 Player of the Week following the Kajakawa Classic Feb. 6-8. 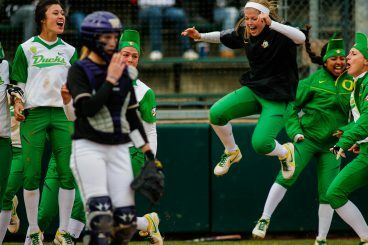 Celebration in order after a home run for the Ducks vs Washington. The Ducks head to Waco, Texas this week (Feb. 16-21) for a week-long tournament. Their first home opener is against rival Oregon State in a typical Civil War fashion on Friday, March 13th at 4:00pm. Mark your calendars! I hope to see a lot of Ducks fans at Howe Field in support of our beloved Ducks!